Being an art shipper means to be part of the incredible world of art and human creativity. At Fine Art Shippers, we are very happy to work with so many dedicated art business professionals, prominent galleries, and reputable auction houses from around the globe. However, there is nothing like meeting truly talented artists like Will and Alexander Yaya. Will and Alexander Yaya are brothers, and they both are amazing artists working in various media. 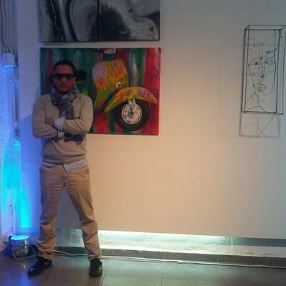 Besides, they are owners of Crisolart Galleries, a beautiful gallery with locations in Barcelona and New York City. At Fine Art Shippers, we had a chance to work with Will and Alexander Yaya, and it was an unforgettable experience for every art shipper in our team! Will Yaya is a very versatile artist, with a passion for large-scale paintings in bright colors, figurative sculptures, and original jewelry with various organic elements. He works using different materials and techniques, creating gorgeous pieces of art inspired by the surrounded nature and the universe. Alexander Yaya is a prominent representative of the so-called “highbrow” art movement, largely focused on figurative and abstract sculpture and painting. His amazing works are all distinguished by organic forms and spectacular colors that create a harmonious balance between nature and human. As a professional art shipper, Fine Art Shippers is very proud to work with Will and Alexander Yaya, helping them ship fine art and organize various exhibitions around the world. It is an honor for us to call these talented artists our clients and friends! Copyright © 2015-2019 Fine Art Shipping Corp. All Rights Reserved.